Product #361 | SKU 8-003-0041 | 0.0 (no ratings yet) Thanks for your rating! 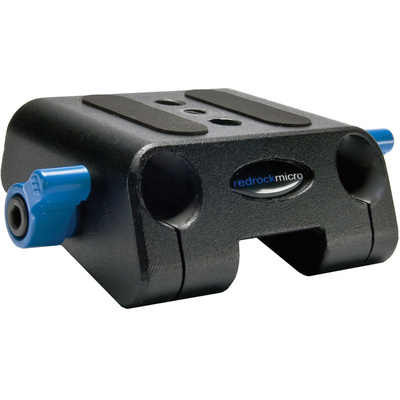 The Redrock Micro microShoulderMount Rod Clamp is an add-on clamp that lets you attach your video camera to the rods of the microShoulderMount and slide it independently of the shoulder pad. A separately sold Redrock microShoulderMount Hardware Kit provides the screws and hardware to mount your camera and make adjustments.